Now that your cake top is done, you can quickly work your way down the rest of the cake. You've already marked out the places on your cake with toothpicks. If you have limited flowers, separate them out so you don't use too many at the top and run out before you finish the bottom. 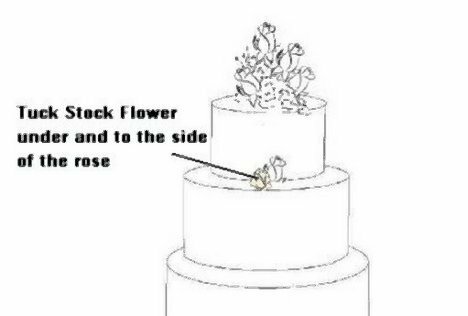 Make sure you have enough flowers available for the entire cake. 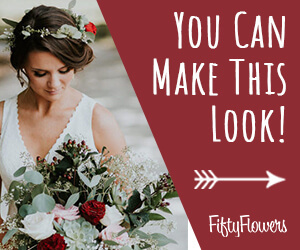 Don't crowd flowers on . . but if you have to skimp do it on the backside of the cake - not the front and sides. 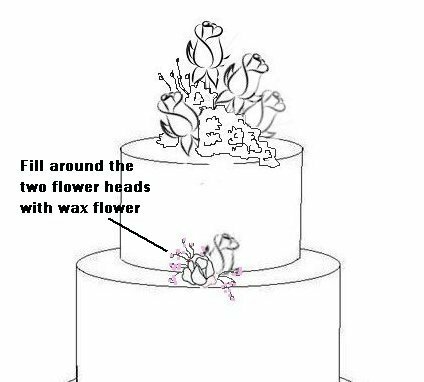 This rest of the cake goes quickly, inserting the focal flower first, then framing it with secondary flowers and greenery. 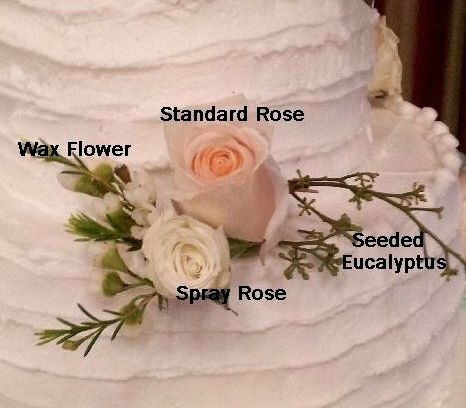 Again - you may have to place small pieces of waxed paper on the edges of the cake where your flowers may touch the icing. 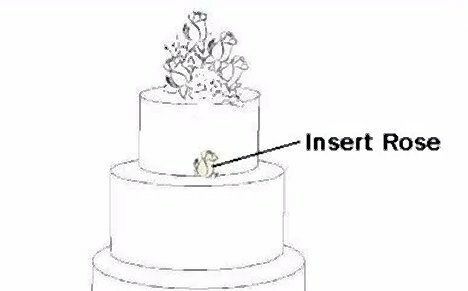 You begin to see how fast you can now move around the cake.